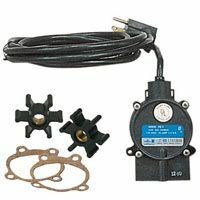 Little Giant 2-MDQX-SC (580507) is a Magnetic Drive Aquarium Pump 1/30 HP, 115V, 6' power cord - SC Quarium Series for semi-corrosive salt solutions and chemicals, designed for in-line saltwater and freshwater aquarium circulation and filtration applications. Little Giant 2-MDQX-SC 'Quarium Series features a leakproof, seal-less magnetic drive and a more quiet operation for freshwater and saltwater aquariums. 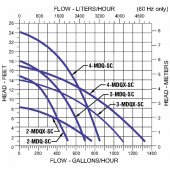 Little Giant 2-MDQX-SC has 1" MNPT discharge and 1" FNPT Intake with head capacity of 8.1'. 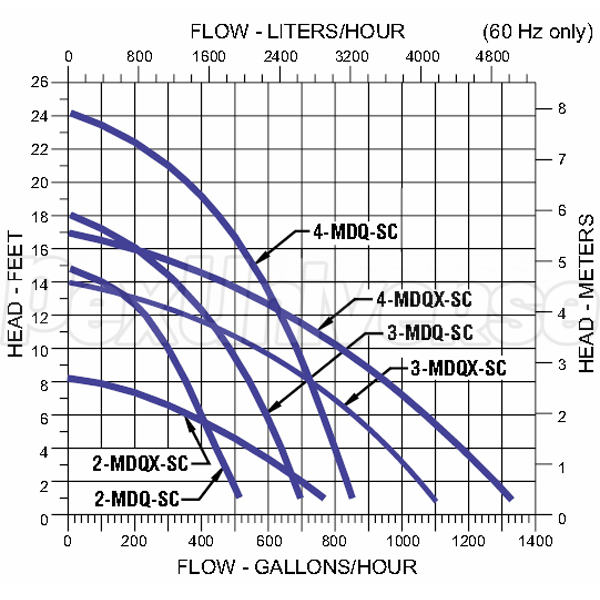 The MDQX model is best suited for free-flow setups, where water encounters very little back pressure. The volute, magnet housing and impeller of 2-MDQX-SC are glass-filled polypropylene encapsulated for excellent chemical resistance. The ceramic shaft and thrust washers are 99.5% pure alumina provide unparalleled wear and trouble-free service. The O-ring seals are nitrile (Buna-N). 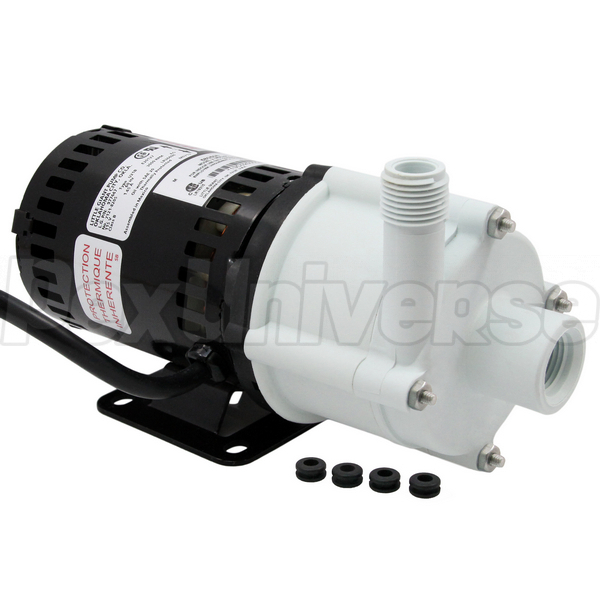 Little Giant's powerful 1/30 HP thermally protected, totally enclosed, motor delivers 770 GPH of fluids at 1' total dynamic head. Little Giant 2-MDQX-SC has been factory-tested for capacity, control operation and electrical continuity to assure maximum performance and safety.